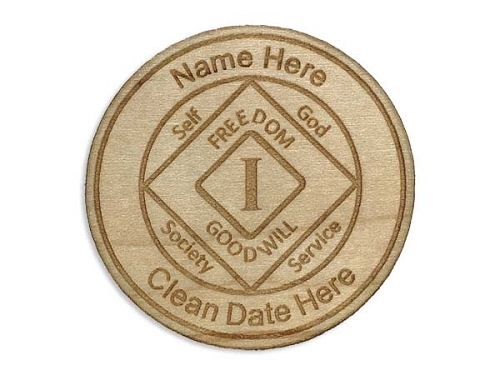 Personalize this Alder or Maple Wood NA chip with your name and clean date or, the name a clean date of someone you love! 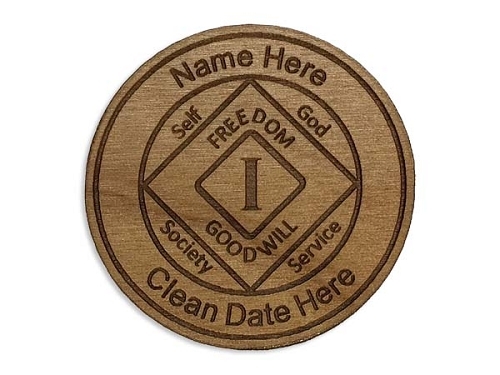 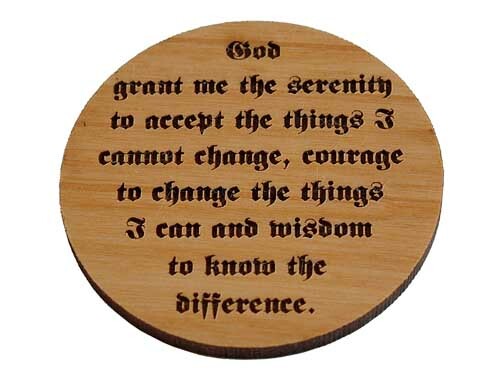 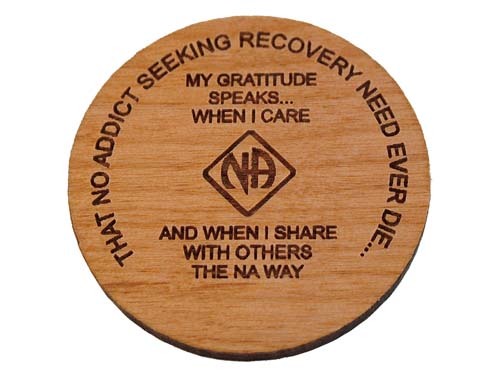 The front side has a nice, clean classic NA medallion design with a Roman Numeral year designation, along with a name and clean date expertly laser engraved into you choice of an Alder Wood or Maple Wood token. 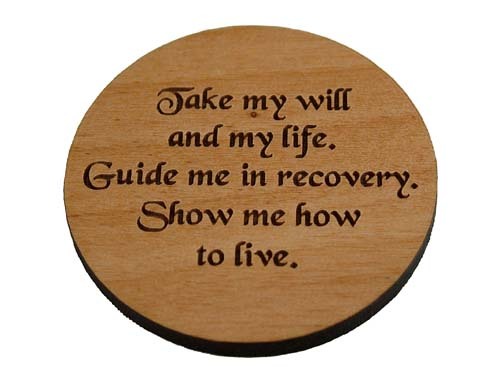 Choose from a nice selection of back side engraved designs, too!